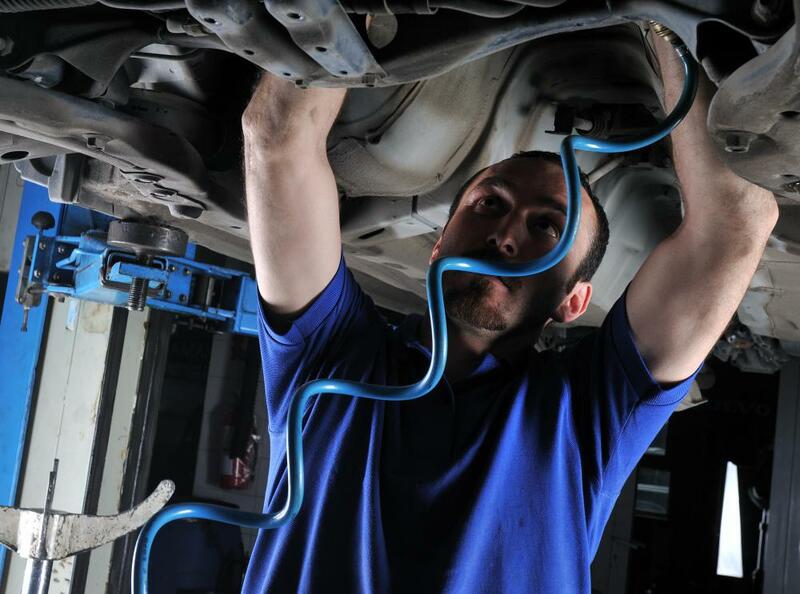 An air separator is key in ensuring pneumatic tools are not affected by water in the exhaust. An air separator is a device used to remove water and oil from compressed air. Typically mounted on a wall near the air compressor, the air separator can be a multiple filter apparatus. The act of compressing air creates a generous amount of heat which leads to condensation and water in the air supply. Often minute amounts of oil seep past bearings and end up in the air, creating contaminates in the air supply. The use of air separator filters prevents a drop of oil or water from ruining a paint job or causing rust to form in an air-operated tool. Many times when using a high-volume air tool such as a sander, water will begin to drip out of the air exhaust on the tool. This is created from the heated and compressed air cooling down. The bottom of most air compressor tanks contain large amounts of water and should be emptied weekly. Even if equipped with an air separator, the benefits of emptying the water from the compressor's tank are worth the time it takes to do it. Rust can form inside of the compressor tank and an air separator will not combat this issue. 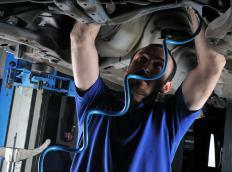 Air tools especially benefit from the use of an air separator. Water in the air tank and hose can cause damage to the inner workings of an air tool. Impact tools are especially affected by water with the torque load being severely affected by water damage. The effects of water in the use of air tools can be drastically reduced by installing an air separator in the supply line leading from the compressor to the tool. In especially humid weather, air tools can actually drip water as they are being used if they don't have the aid of an air separator. This dripping water can damage vital engine components if accidentally allowed to drip in the engine bay. Found at most home stores as well as hardware and farm supply stores, air separator filters can be purchased for a minimal cost and installed in a matter of minutes. Most filters are reusable and able to be emptied once full of water. Some of the oil separator filters are not reusable; however, their minimal cost allows them to be changed without spending a lot of money. It is important that the filters be monitored and kept in an operational state, because if they are full of fluids, they will not offer any protection from contaminants. What is a Rotary Compressor? What is a Cyclone Separator?